After graduating with a BFA in graphic design and a marketing minor, Danielle Sendi worked at a couple different businesses to find out what she wanted to do with her creative and marketing skills. As she explored more opportunities at her places of work she found out she was more drawn to the business side of things. We caught up with her to hear her inspiring story of her transition from graphic design to product management. What drew you to pursue a degree in design? I have always been a creatively driven person. As a child, I asked for art supplies for Christmas, and was always drawing and doodling. I also loved science and architecture, and would lay out building plans and cityscapes. I knew I wanted to do something creative, but wasn’t sure what options existed. I learned about Graphic Design during my freshman year at BGSU from a girl in my dorm. I then switched my major from Marketing to Graphic Design, and loved the program. What made you choose BGSU? Proximity to home. My sister was a senior at BGSU, and I wanted to be close to her. I also had to work my way through college and already had several jobs in place from high school that I didn’t want to walk away from. While haphazard, it was a great choice that I don’t regret! As an Associate Product Manager, what kind of projects do you work on? I find myself directing the designers and creatives, giving them the concepts and feedback, and letting them do the work. My main goal in my role is to manage our loosefill insulation business for North America. Together with my manager, we develop and manage promotional and training programs for our products, develop new products, collaborate with Marketing Communications and agencies on product launch strategies, name products, and manage the network of manufacturing facilities in Canada and the United States. I also support marketing initiatives for our New Construction segment, and direct photo and video shoots, work with agencies on brochure and web design, and provide marketing consulting to our top customers. I love my job because I get to travel across the country to meet my customers in the field, and provide real solutions to their problems… and every day I learn something new. 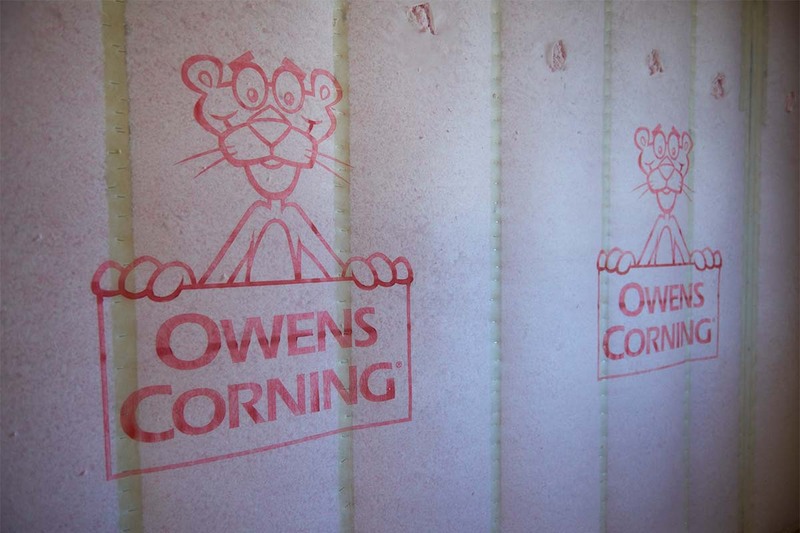 What businesses did you work at before you worked at Owens Corning? My first job was with Therma-Tru Doors in Maumee, OH. This started as a Graphic Design internship, and they kept me on contract for a few months afterwards. I graduated into a tough economy with few jobs, especially entry level, so I was glad they were able to keep me on so I could continue to learn. I then worked at a small political and non-profit agency focused PR and Marketing as a Graphic Designer. I enjoyed being involved in all the events around Toledo and seeing my work “in the wild.” However, I wasn’t a huge fan of agency life, and wasn’t sure I liked being a Graphic Designer. I began expanding my role and responsibilities, and learned how to write copy, code websites, and manage social pages. I then joined a small window manufacturer called Sunrise Windows as a Marketing Communications Specialist. Because I had picked up a variety of skills, I was able to transition into broader roles and apply for more opportunities. At Sunrise, I managed our website, social, sales tools, catalogs, and product photography and videos. I was able to write scripts for remodeling shows featuring our products that appeared on HGTV, DIY Network, and Lifetime. I loved working at a small company where I had the opportunity to wear a lot of different hats. After a couple of years, Sunrise set the goal of entering the entry door market, and with my experience and knowledge in the field I gained at Therma-Tru, I was picked to assist on the project. I don’t think people realize how knowledgeable a Graphic Designer becomes with the intimate details of the product because we have to pay attention to the details when we’re designing brochures and layouts for the products! Because of my extensive knowledge, and willingness to go above and beyond in my role, I was promoted to Associate Product Manager for Entry Doors and managed the entire project of international negotiations, sourcing the product, developing the product line, designing the catalog, developing sales tools and pricing, and everything else involved in the business. In 2016, I joined Owens Corning as a Senior Marketing Communications Specialist, and have since been promoted into my current role as an Associate Product Manager. 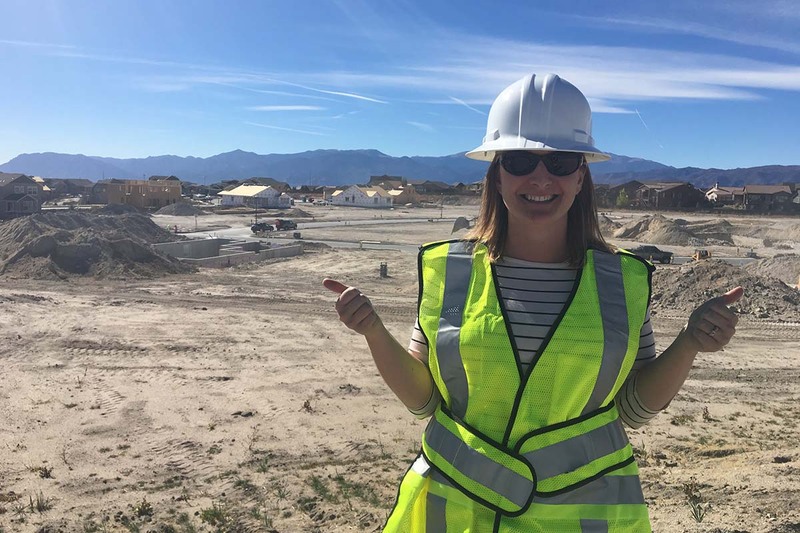 I love the building material industry, and that my current role allows me to be creative and flex my technical and business muscles at the same time. What inspired you to achieve a MBA degree? Would you recommend it to other designers? Now that I’ve officially crossed over into the business world, and MBA is an absolute must have to remain competitive in my field. The world is saturated with people who have Bachelor degrees, and you must go above and beyond to stand out from the crowd. I also knew I needed to round out my understanding of finance and general business. As a Graphic Design major, we don’t usually focus on learning about business and developing strong financial skills. I would say, even if you have no intention of pursuing business, you should consider taking a few business classes. Understanding what issues and strategies your clients are facing will help you develop stronger designs and solutions for your clients. Especially if you want to run your own business someday or work as a freelancer, having a solid foundation of business principles will only foster future success for yourself and your clients. What are some of your hobbies and have you ever incorporated them into your design work? My hobbies are where my design skills come out the most. I love gardening, baking, painting, and photography. My family and friends always enjoy seeing how crafty my pie crusts are, the perfect color and texture balance in my garden, and I love capturing small details around me that most people won’t slow down and appreciate in painting or photography. I also collect things that are designed well and are inspiring to me. What is the biggest challenge you’ve had to face in your career of design and how did you overcome it? Accepting that while I enjoy Graphic Design and critique every sign, menu, or website I see ferociously, I am not cut out to be a Graphic Designer. I had a mountain of student loan debt, and felt so guilty for not wanting to use my degree. Thankfully, I had an amazing support network (including BGSU Design faculty!) to give me the encouragement to step out of my comfort zone and not be afraid to start working with engineers and technical teams to learn more S.T.E.M. skills. I also realized my ability to use both left-brain and right-brain skills was exactly what many companies need to help with communications across teams. Is there any advice you would give to students currently in the program? NEVER, and I repeat, NEVER do design work for free. The general populace takes our skill set for granted (I mean, designing a logo is like… easy… right?). I made this mistake, and when my computer started having issues and it came time to replace my equipment, I had no funds to support replacing my computer and growing my side gig. It’s great to donate your time and volunteer, but when your best friend decides to open a home brewery and wants you to design his/her labels, get a contract in place, and negotiate a rate. After years of school and perfecting their practice, surgeons don’t do work for free, and neither should you. Don’t underestimate the value of your trade. One of the best pieces of advice I ever received was work hard and always do more than is asked. Our generation is plagued with a reputation of being entitled and unwilling to work. Do not walk into your first job expecting to become an Art Director in two weeks. Earn your keep. If you end up like me and find yourself a year from graduation realizing a career as a Graphic Designer might not be what you want to do for the rest of your life… don’t panic. 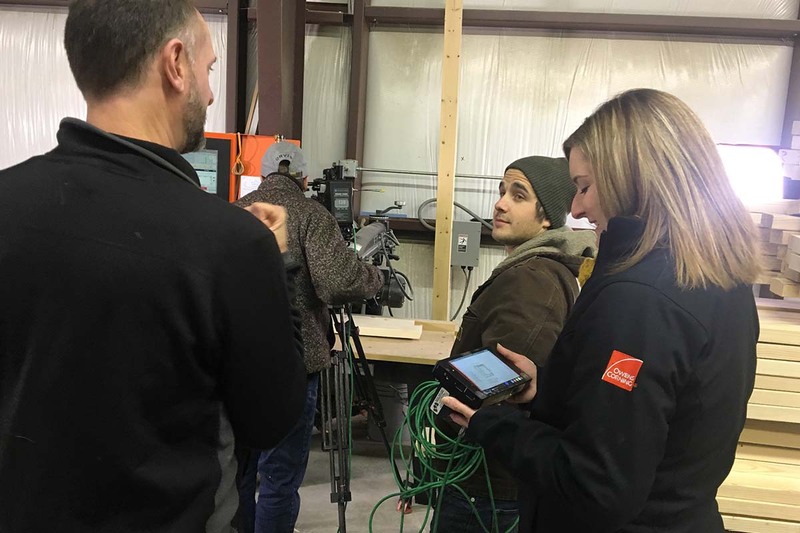 The Design program at BGSU has tremendously valuable faculty who have designed a program that equips you with a variety of skills that are valuable in a lot of career paths. Being able to receive critical feedback and course correct, being a collaborative team player, having keen attention to detail, and being able to synthesize an assortment of ideas into a clean, concise format are skills not every graduate will enter the world with. Be teachable. If you’re passionate about something, pursue it.